The cycles of rock formation, beautifully simplified! Seeing is understanding with this fully-labeled, color-coded exhibit. 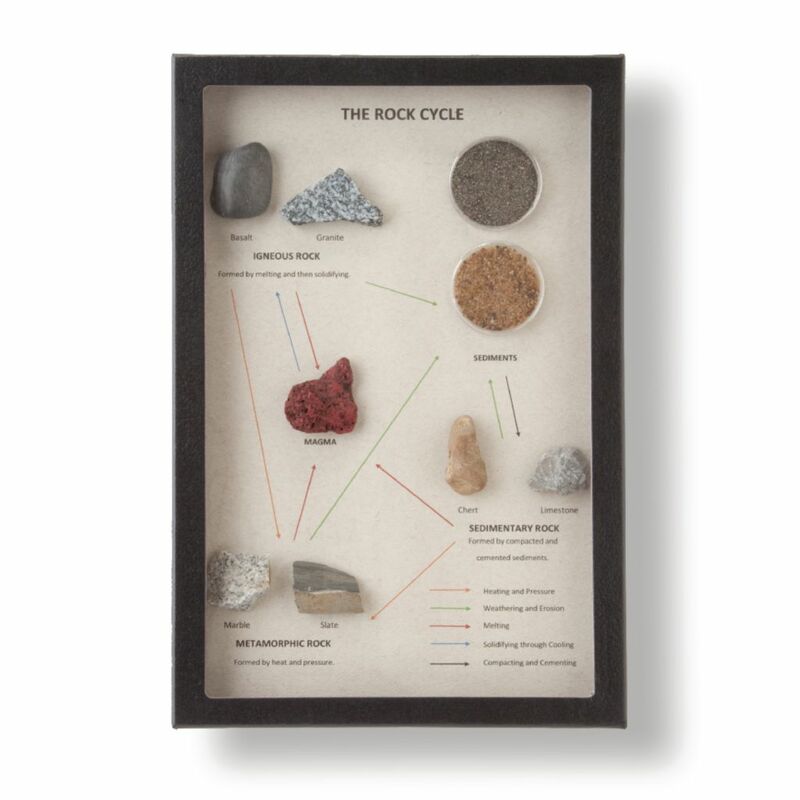 The process of changing one form of rock into another often seems complicated from textbook descriptions and diagrams, but this display simplifies the process and makes it easy to grasp the causes and effects of environmental changes on rock formation.